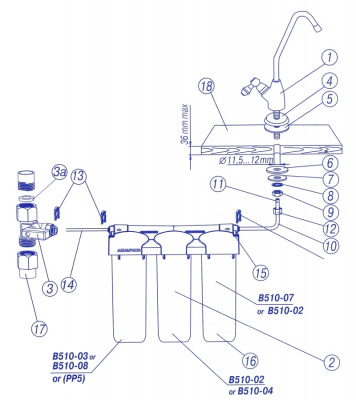 Economical version of the system with a separate tap with a high rate of filtration. 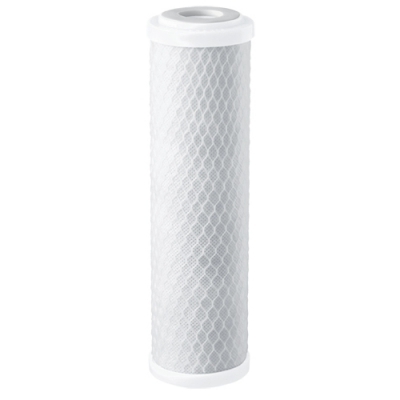 It effectively removes harmful impurities up to 1 micron in size, including chlorine, lead, heavy metals and bacteria. 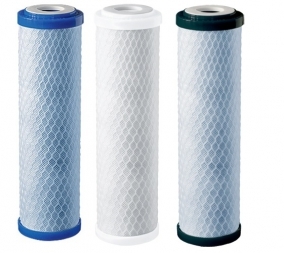 Filter Aquafor Trio reliably cleans soft water, preserving its mineral composition. 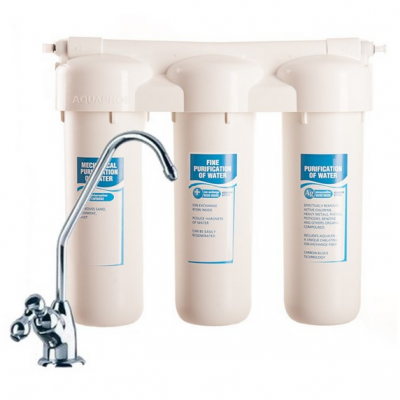 Trio provides high-quality water treatment and the convenience of a high quality separate tap with 360 degree rotation and ceramic valve for long lifespan for a low initial price and maintenance costs. Located under the sink, Trio takes up little space and is a valuable addition for even the smallest of kitchens. 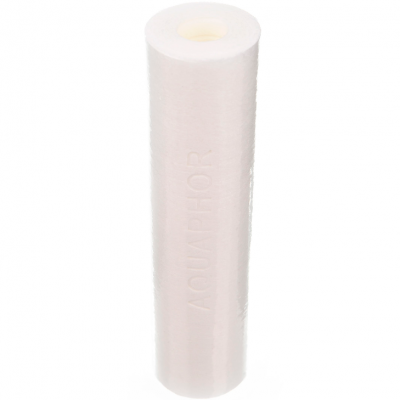 The water purifier Aquaphor Trio efficiently removes colloid iron applying space filtration. 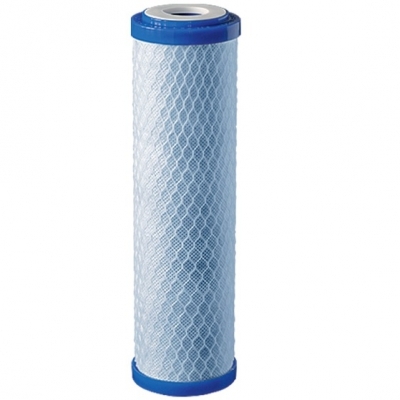 Space between granules in Aquaphor filters is filled with ion-exchange fibers Aqualen with 0.02 mm in diameter. Thereby the water purifier efficiently removes even small particles of colloid iron. A modern tap with a ceramic pair simplifies application of the water filter: pure water is available for you and your relatives any time without additional efforts. 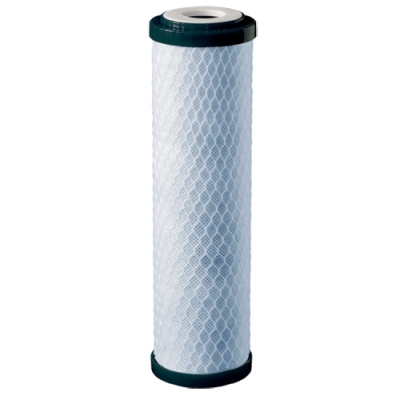 Removes all common impurities including chlorine, lead, bacteria and cysts.